To protect lives and homes in northeastern Custer County and adjacent portions of Fremont and Pueblo counties, Colorado. 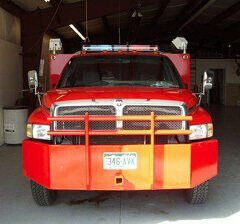 Founded in the mid-1950s, the Wetmore Volunteer Fire Department protects home and land in northeastern Custer County and parts of Pueblo and Fremont Counties, an area of about 110 square miles with a population of about 600. The department is entirely supported by grants, donations, and local fund-raising. The fire chief is Dee Murphy and the department president is Bill Donley. Membership is open to all interested residents. Monthly meetings are held at 7 p.m. on the last Thursday of each month at the fire station at 200 CR 290 (Trinity Ranch Road).